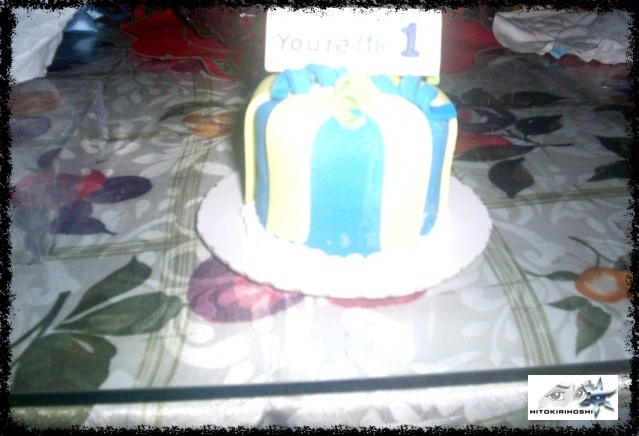 A special occasion needs a special preparation like you don’t dress any outfit, but choose the best one for it. And if needed,you probably spend extra money for an expensive gown, polo or dress for the event such as wedding, debut, prom, and birthday, right? But if you have old, but still presentable and beautiful formal clothes, attending a special occasion is definitely worry-free and less expensive for you. While preparing to wash a dress and some of our old curtains with Perwoll Classic (which I will also review here), I thought about these. In fact, we may actually unaware that we pass/share our traditions and values to our younger generation through our old garments and cloths. What I donned in my prom night (grade 10) was a gown of my ate Marivic, which she wore in a 1994 wedding. Meantime, ate Mary Ann’s (4th oldest sister) wedding gown was also my ate Malot’s (eldest sister) wedding gown. Meantime, most my kiddie gowns (sample ⇓) were also borrowed several times of my godchildren, nieces, and cousins. See how meaningful it is to keep gowns for years? It’s also cost effective, and a big help to the others. I can’t remember anymore the last time we bought curtains, bedspreads, or table covers. In fact, we practically keep our old ones for decades. But I admit, sometimes I am i become sentimental if I remember something by just looking at any of those things. Whenever I see our old red checkered bedding, I remember the times my late father. He used that to keep me warm and sleep at night. Sometimes, I also remember my childhood crush because of the white table cloth with floral designs. That young man accidentally wounded himself and his blood stained that cover ⇓. You know, these are just ordinary things, but they make our house project homely appeal that I’ll surely miss if I live somewhere else. I am not old-fashioned one, but I honor traditions of Filipino families. 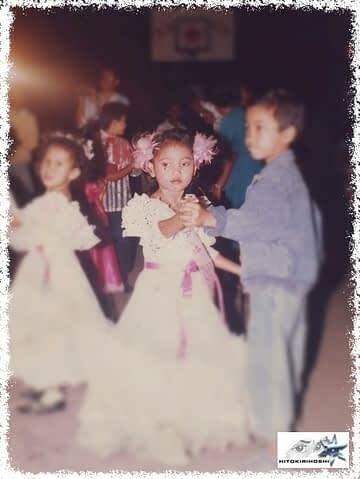 If we value our good Filipino culture, we teach our kids to embrace what they are while achieving who they want to be. I may sound OA here, but that’s what really in my mind whenever I wash an old curtain, table/ bed cover or especially, gown. You know if you keep something for so long now, it’s definitely valuable (appreciation). If you let others to borrow or have it, you help (tulungan) and entrust them to become grateful and do it also good stuff to others (pay it forward). Nanay used to wash our beddings, curtains, and covers with gawgaw (corn starch). She said that corn starch makes our old clothes last longer. But that means rougher fabric or texture and often, uncomfortable sleeps, sits, and dining. She also soaks those things for hours or even overnight before washing them with hand or machine. The result? The cloths’ colors fade and become weaker. For our gowns, we usually either gently wash them by hand or bring them in a laundry shop. 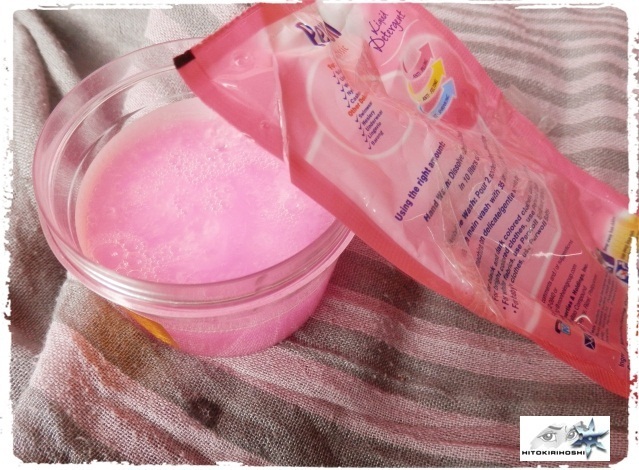 Like what I mentioned here and here , I am trying different variants of Perwoll Liquid Detergent now. I think the best for gowns, bed/ pillow covers, curtains, and other special kind of fabrics is the Perwoll Classic (pink) . To be honest, Perwoll Classic is little bit expensive if we compare it to other local detergents. However, it’s sulit since it makes our clothes last longer with its anti-felting, anti-pilling, and anti-shrinking elements. 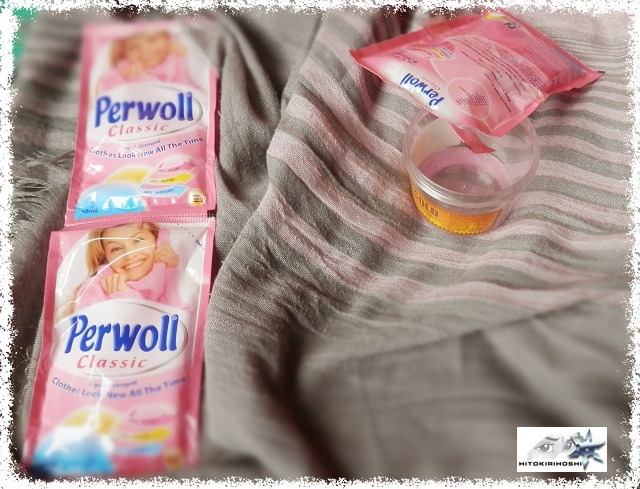 Perwoll Classic also has stronger scent especially versus Perwoll Black. That’s cool for me since I’ll use it to gowns, scarves, shawls, hats, jackets, curtain and covers. I don’t even consider to use fabric conditioner or air freshener anymore. Hehehe. So far this one and the other Perwoll variants produce good results. I like the soft feel, the hagod no more of bareta, the promise of no residues, fading of color, and it can make our clothes looks new. previousEssay: the Importance of Learning Your Philippine Culture in modern living?